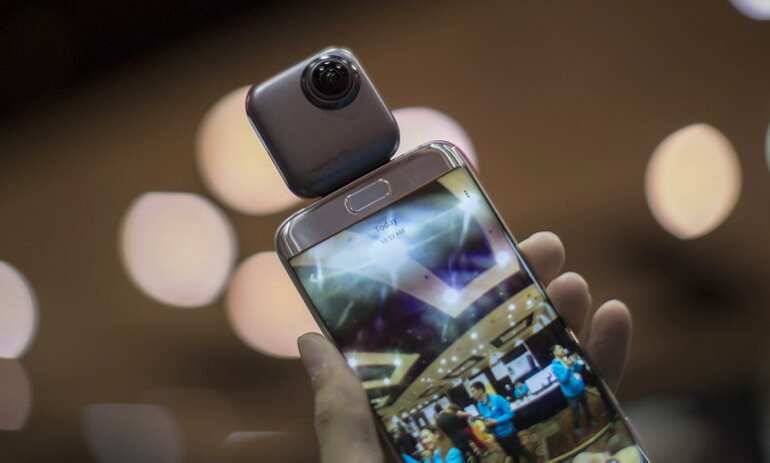 A plethora of companies and manufacturers are showcasing new technology and products at the world's biggest technology event - CES 2017 - which takes place from January 5 to January 8. Here are interesting products from the trade show. 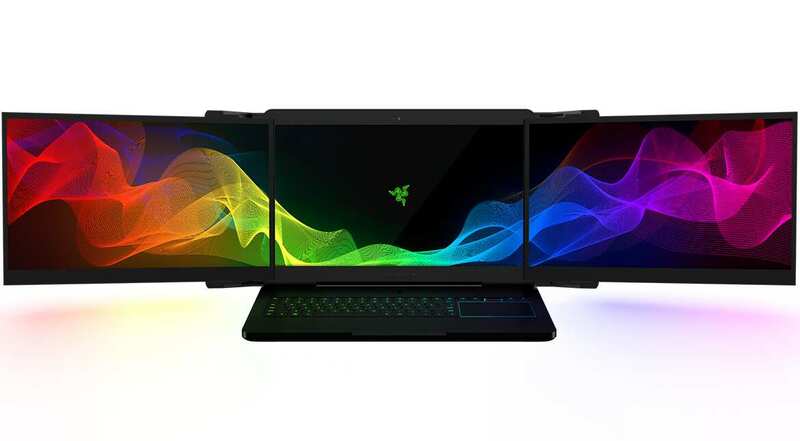 Razor unveils Project Valerie, the world's first triple-display laptop, at CES 2017. It features three17.3-inch 4K screens. Razor unveils Project Valerie, the world's first triple display laptop, at CES 2017. It features three17.3-inch 4K screens. 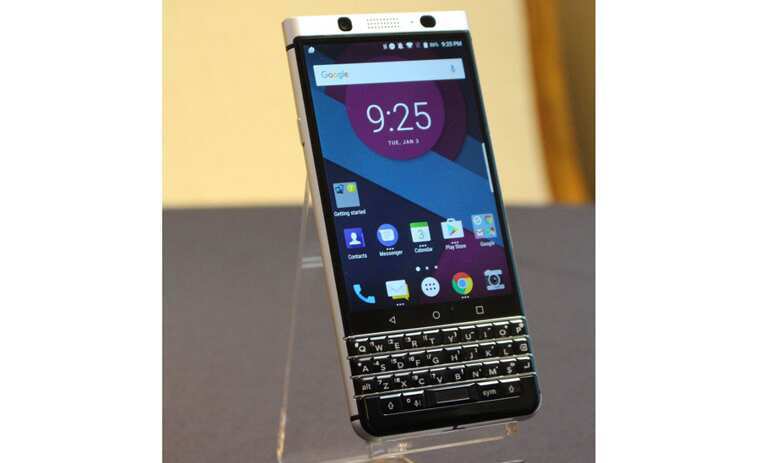 A soon-to-be released new BlackBerry smartphone is shown off behind closed doors at the Consumer Electronics Show. A soon-to-be released new BlackBerry smartphone (name and price yet to be revealed) is shown off behind closed doors at the Consumer Electronics Show in Las Vegas. The new Honda NeuV concept vehicle is displayed during CES. 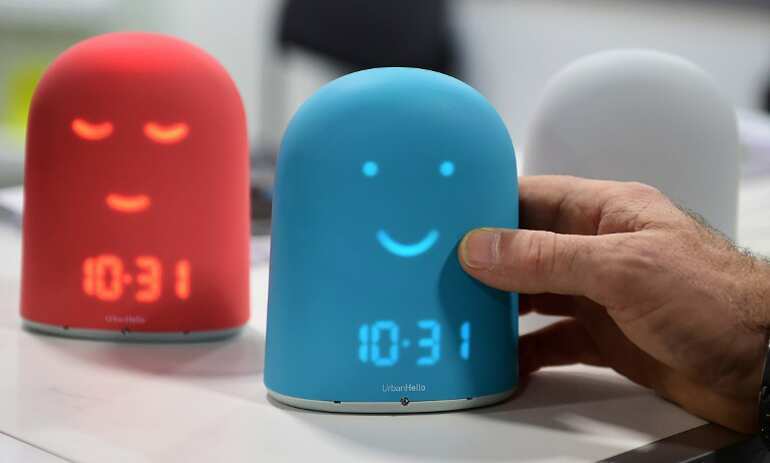 UrbanHello Remi, the smart alarm clock for kids, which offers a night tracker, a sleep trainier and a storyteller, is on display. 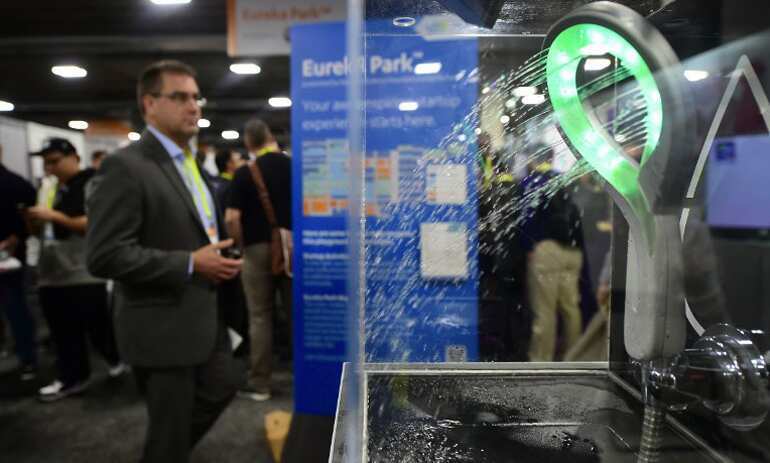 A man walks past the Hydrao Loop shower head from SmartandBlue. The SkinScopy smart phone skin analyser from iOB (Internet of Beauty) Labs, connected to a smartphone, is displayed. The SkinScopy smart phone skin analyser from iOB (Internet of Beauty) Labs, connected to a smartphone, is displayed during the 2017 Consumer Electronic Show (CES) in Las Vegas. 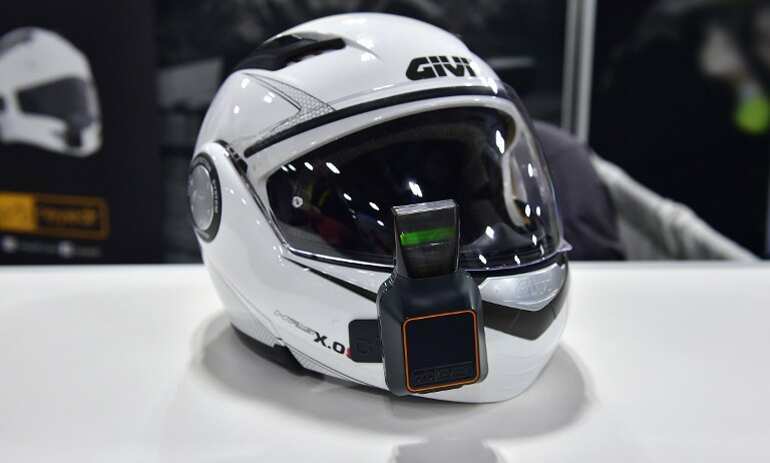 The Reyeder Heads-Up display for Motorcyclists (attached to a helmet) is displayed during the 2017 Consumer Electronic Show (CES) in Las Vegas. 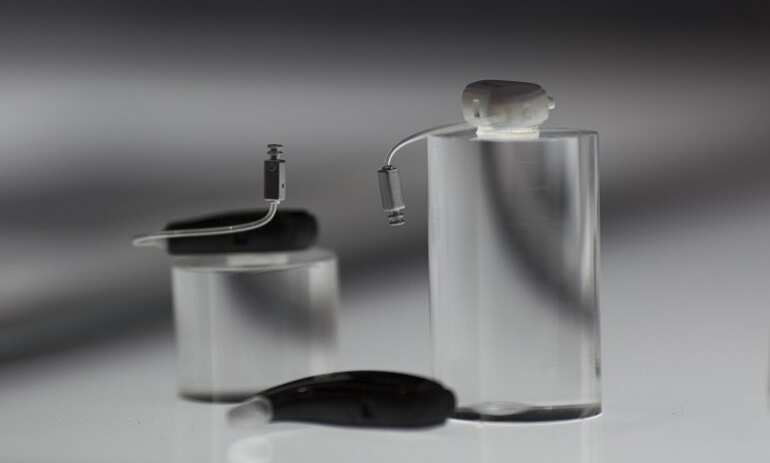 A ReSound Linx2 Hearing Aid is displayed at the trade show. The new smart breast pump from Willow. The new smart breast pump from Willow, billed as the first truly smart wearable breast pump, quiet enough to use in a conference call, is displayed at the show. 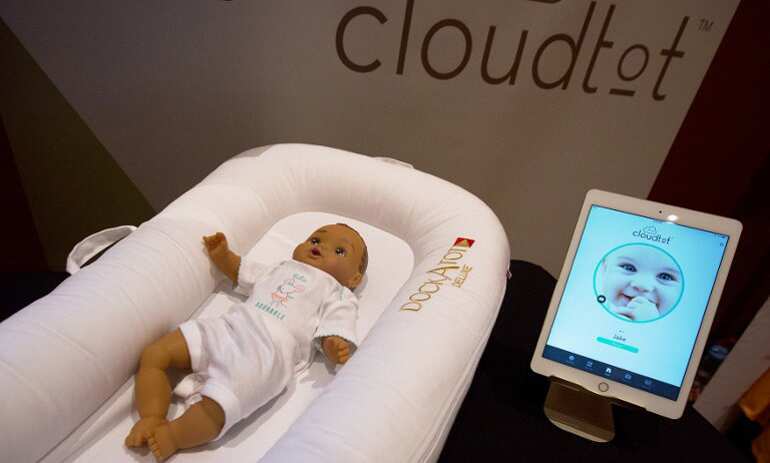 A DockATot Deluxe smart baby bed and app are shown at ShowStoppers. 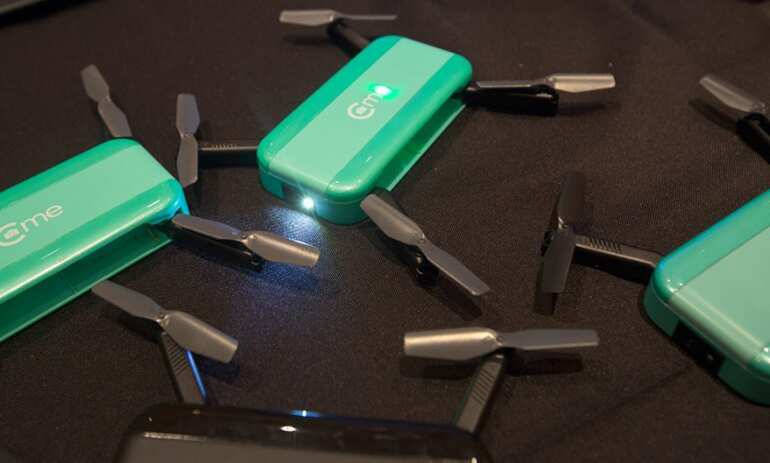 Hobbico hand-sized camera drones are shown at ShowStoppers during the 2017 Consumer Electronic Show (CES) in Las Vegas. 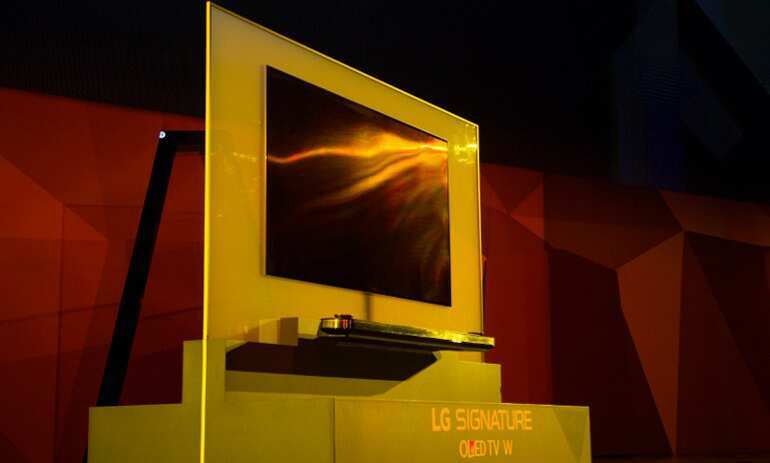 The LG Signature OLED TV W is presented at the LG press conference. The LG Signature OLED TV W is presented at the LG press conference. 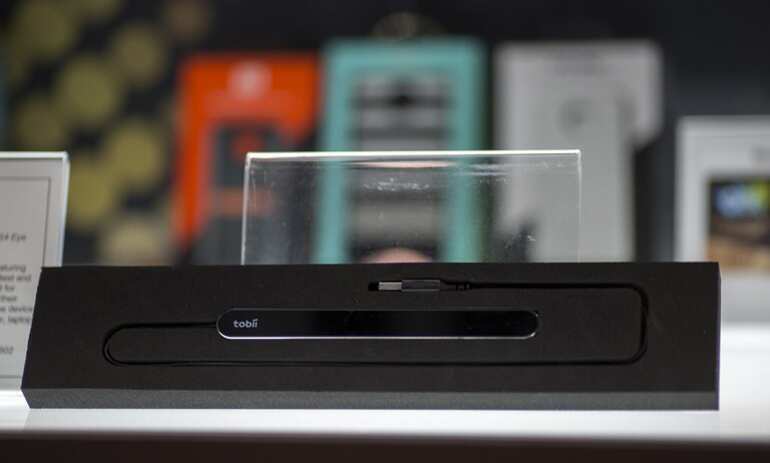 It's a strikingly thin OLED flat-screen television. 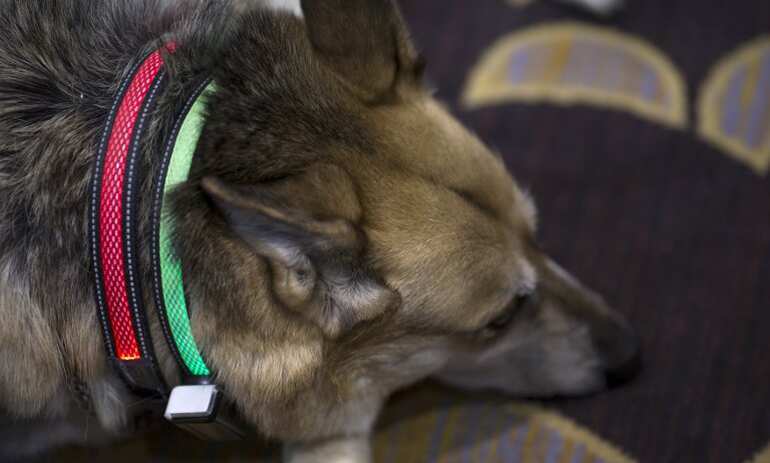 A dog wears an illuminated Smart Dog Collar by Jagger and Lewis during the 2017 Consumer Electronics Show (CES) in Las Vegas. 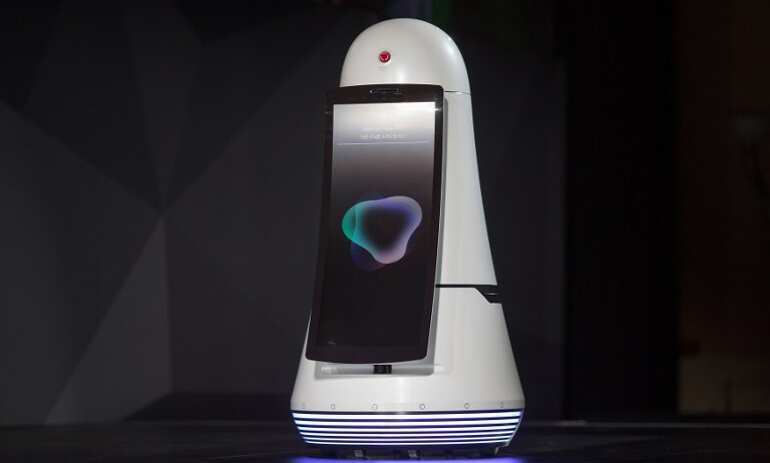 The LG Airbot airport guide robot is presented at the LG press conference. 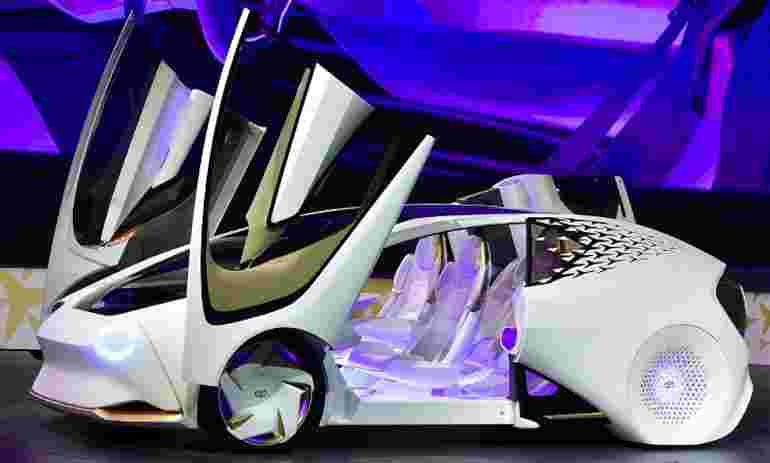 The Toyota Concept-i vehicle is revealed during the Toyota press conference at the trade show. The Faraday Future FF 91 electric car is displayed at the event. The Faraday Future FF 91 electric car is displayed at the event. 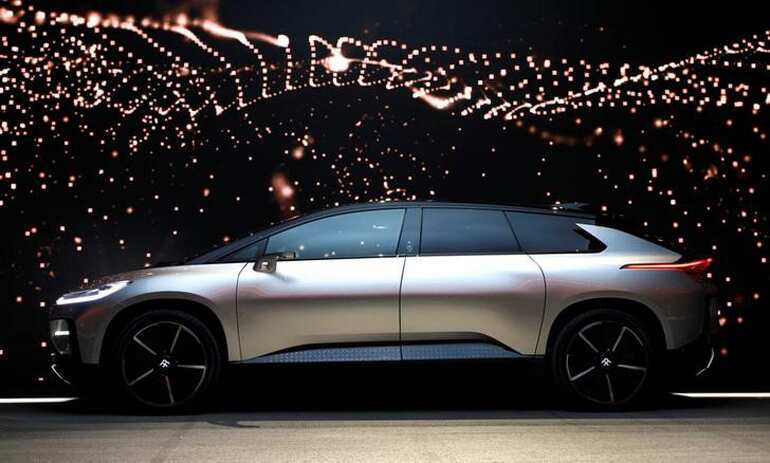 The FF 91, described by its designer Richard Kim as "weird-pretty", is a luxury electric SUV. It will go into production in early 2018. 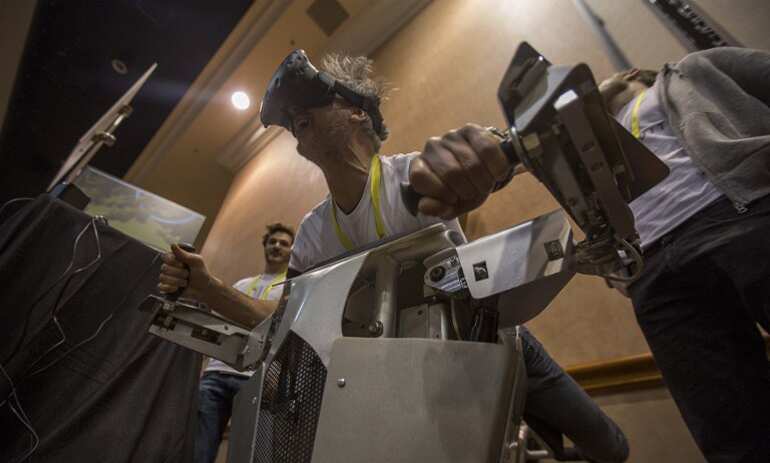 A man tests out a flying machine in a HYPERSUIT virtual reality simulator during the 2017 Consumer Electronics Show (CES) in Las Vegas. 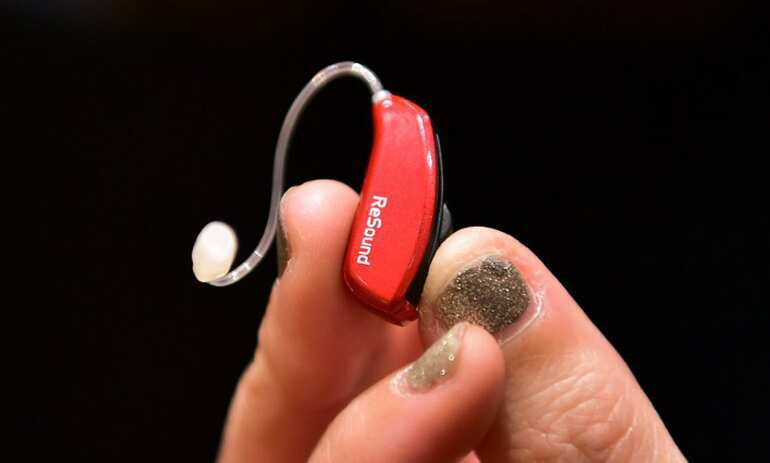 The Resound ENZ02 super power Smart Hearing Aid is shown. The Resound ENZ02 super power Smart Hearing Aid is shown in the CES Innovation Awards Showcase during the 2017 Consumer Electronics Show (CES) in Las Vegas. 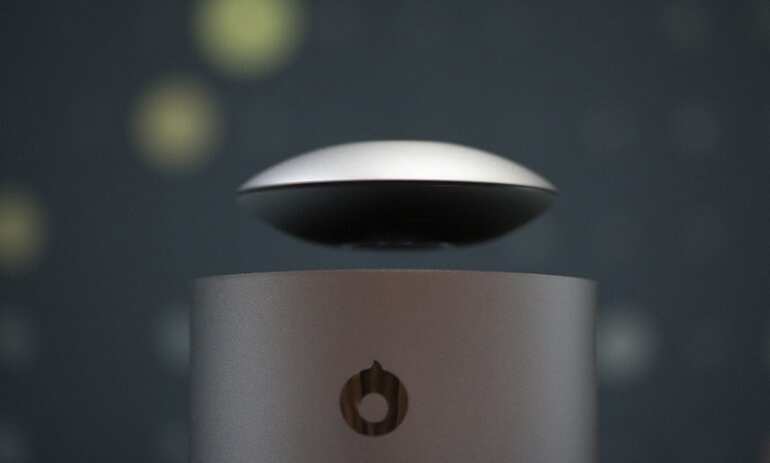 The Crazy Baby Mars True Audio Levitating Wireless Speaker is shown. The Tobii Dynvox PCEye mini featuring IS4 Eye Tracker is shown at the event. 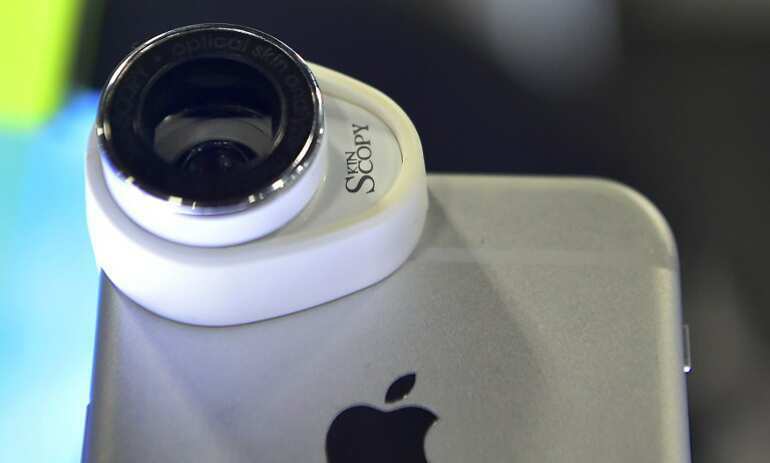 A Wink PTU 360-degree spherical camera is shown with an Android phone. 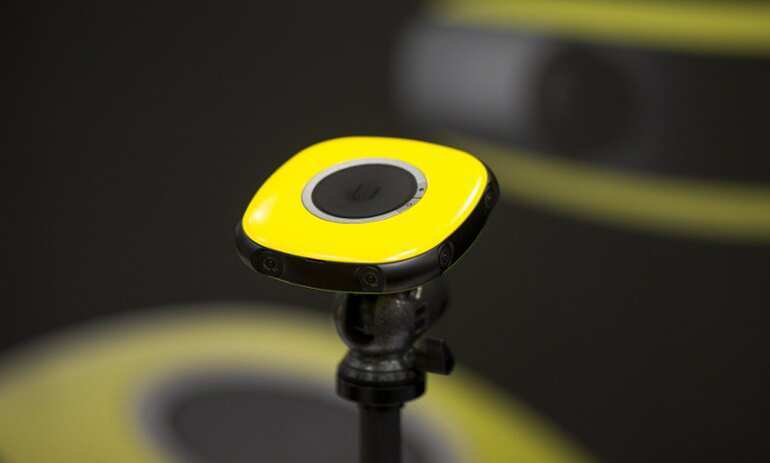 A Vuze 3D 360-degree VR camera is shown during the 2017 Consumer Electronics Show (CES) in Las Vegas. 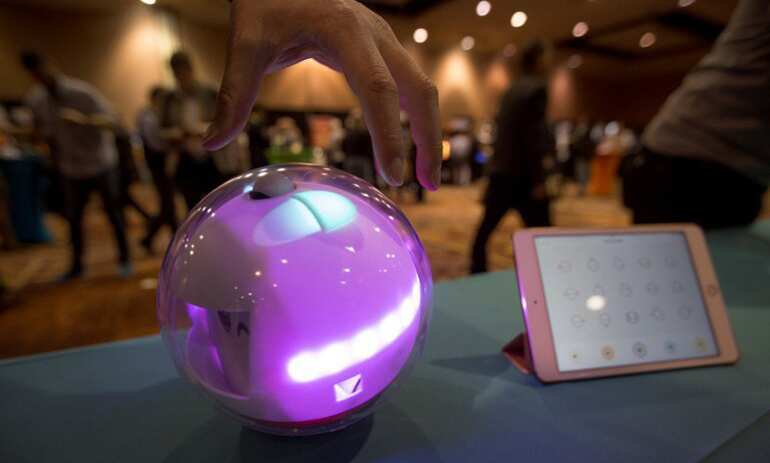 A Laka smart toy and app to benefit special needs children are shown during the 2017 Consumer Electronics Show (CES) in Las Vegas, Nevada. 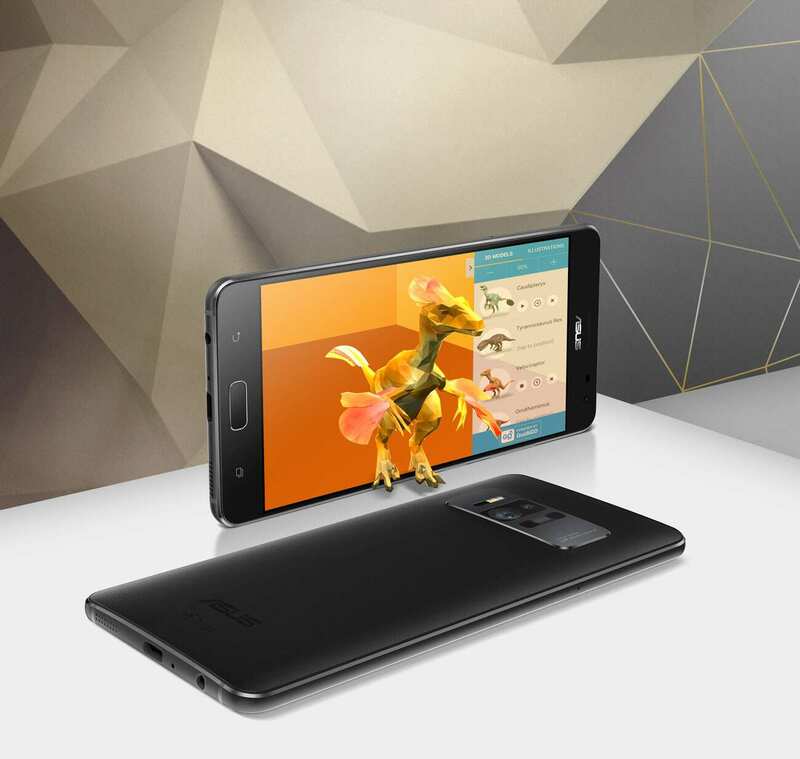 The Zenfone AR is the second handset to incorporate the Tango computing platform. 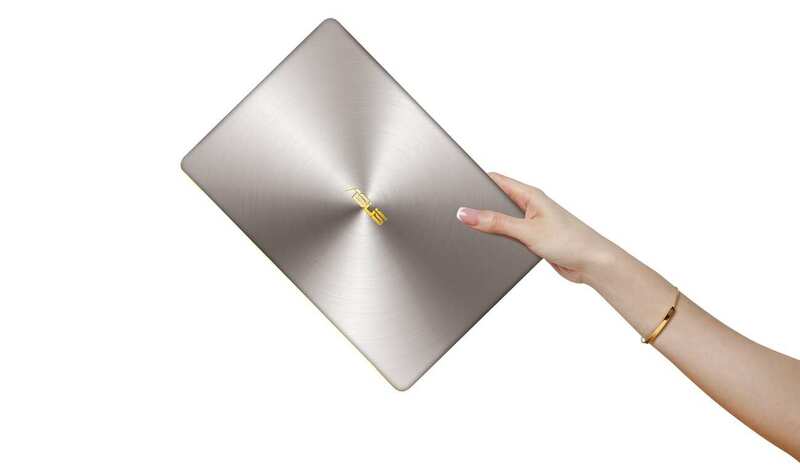 Asus introduces the new ZenBook 3 Deluxe.